Q. What is Scentsy Bathroom Cleaner? 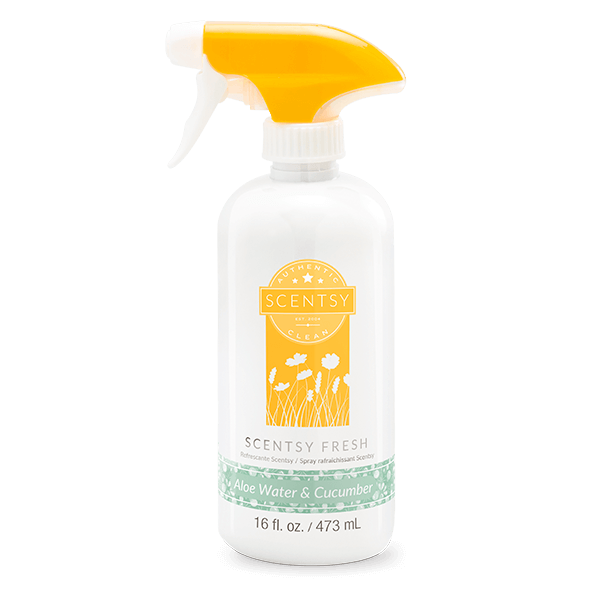 Scentsy Bathroom Cleaner is a powerful, safe, biodegradable cleaning spray. Q. Are there advantages to using Scentsy Bathroom Cleaner over conventional bathroom cleaners? Q. Is Scentsy Bathroom Cleaner safe for all surfaces? Q. Is Scentsy Bathroom Cleaner safe to use around children and pets? Q. Is Scentsy Bathroom Cleaner tested on animals? Q. 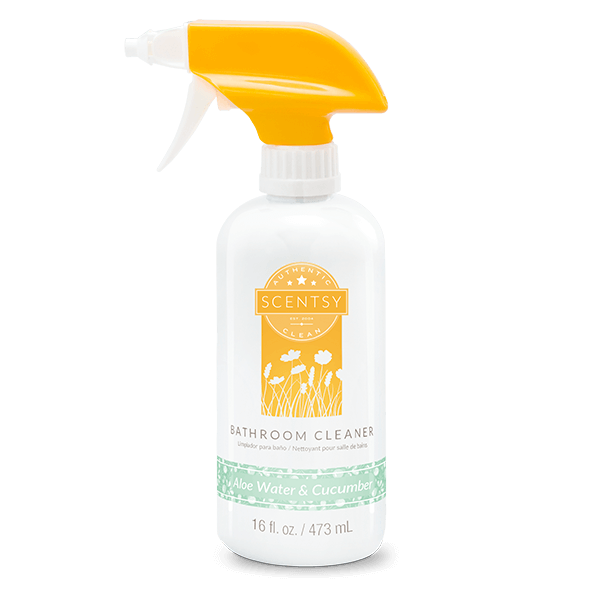 Does Scentsy Bathroom Cleaner contain antibacterial or disinfecting ingredients? Q. Why is there a time and date printed on the bottom of my Bathroom Cleaner product? Q. What is Scentsy Counter Clean? Scentsy Counter Clean is an ammonia-free, multi-surface spray cleaner. Q. Are there advantages to using Scentsy Counter Clean over conventional multipurpose cleaners? Q. Is Scentsy Counter Clean safe for all surfaces? Q. Can I use Scentsy Counter Clean in my car? Yes, but only on hard-surface interiors. Q. Is Scentsy Counter Clean safe to use around children and pets? Q. Is Scentsy Counter Clean tested on animals? Q. Does Scentsy Counter Clean contain antibacterial or disinfecting ingredients? No. Scentsy Counter Clean is formulated for daily maintenance and cleanup, not deep cleaning. Q. Why is there a time and date printed on the bottom of my Counter Clean product? Q. What is Scentsy Kitchen Soap? 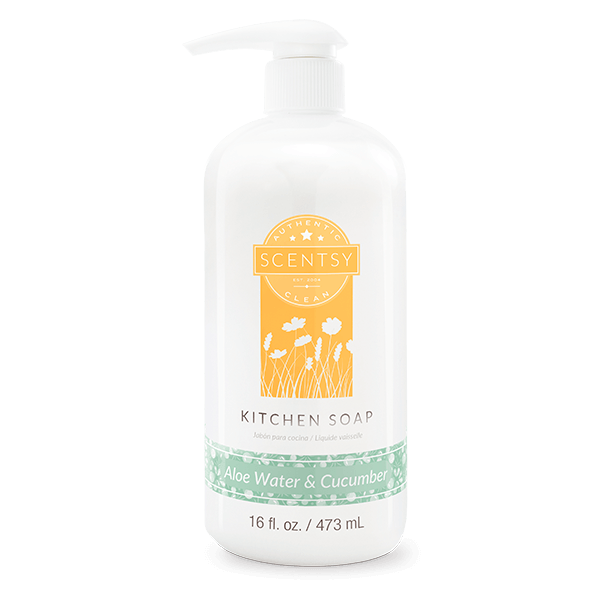 Scentsy Kitchen Soap is a biodegradable, sulfate- and phosphate-free dish soap. Q. Does Scentsy Kitchen Soap need to be diluted? No. Scentsy Kitchen Soap can be used directly on dishes, pots and pans. Q. Can the Scentsy Kitchen Soap be used for things other than dishes? degreasing grills. Just soak grates overnight in hot, soapy water for easy cleaning. Q. Will Scentsy Kitchen Soap dry out my hands? prolonged exposure to the product or using it as hand soap. Q. Is Scentsy Kitchen Soap antibacterial? Q. How much Scentsy Kitchen Soap should I use to clean a sink full of dirty dishes? Q. Can I use Scentsy Kitchen Soap in my dishwasher? Q. Why is there a time and date printed on the bottom of my Kitchen Soap product? Q. What is Scentsy Fresh? and is infused with long-lasting Scentsy fragrance. Q. Where should I use Scentsy Fresh? Use Scentsy Fresh on hard-to-wash fabrics like carpets, furniture, upholstery, bedding and curtains. Q. How much Scentsy Fresh should I use for? Start with a few spritzes. Add more as desired. Q. Is Scentsy Fresh safe to use around children and pets? Q. Is Scentsy Fresh tested on animals? Q. Why is there a time and date printed on the bottom of my Scentsy Fresh product?